On July 4, my friends and I celebrated the United States. 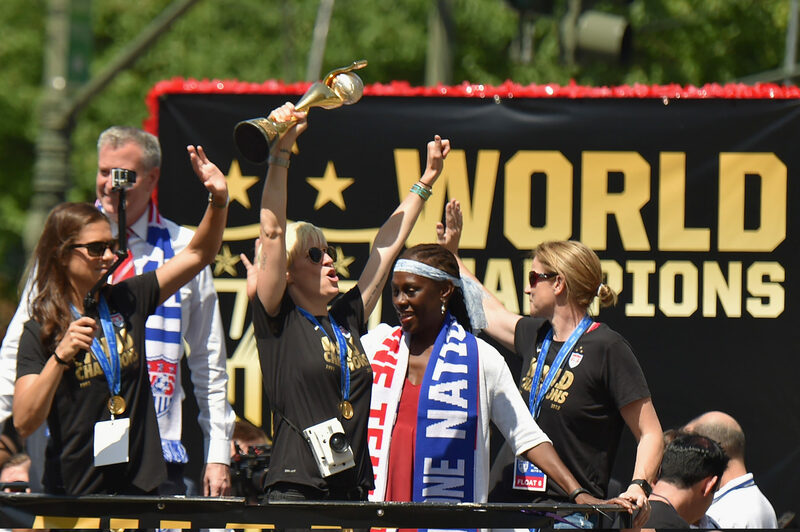 And on July 5, we celebrated the United States winning the 2015 Women’s World Cup. It was hard not to, with all of the On This Day anniversary tweets and social media posts flooding the internet. My WoSo friends shared pictures of them adorned in red, white and blue, posted memories of being at the game, and reshared articles written from BC Place in Vancouver. Gifs and hype videos (like the one above, which never fails to give me chills) that had all but been forgotten in the years in between suddenly reappeared on timelines and feeds, and fans once again shared their “Where were you when…” stories. Not many people can say that a World Cup changed their lives, and even fewer can say that without having stepped foot on the pitch. I’m one of the few who can honestly say that the 2015 World Cup changed my life. So if you will, humor me, while I take a quick walk down World Cup memory lane. #OTD in 2015: The #USWNT added a third star ⭐️⭐️⭐️. For me, my World Cup story goes back a little bit further, to July 10, 1999. That was the day that Brandi Chastain stepped to the spot during a shootout and hit the U.S’s fifth penalty kick to clinch the team’s second World Cup title. I was getting ready to enter my senior year in high school, and I remember the barrage of images of Chastain kneeling on the ground, jersey clutched tightly in her fist, screaming in triumph that flooded the TV and magazine covers. Everywhere you went there were pictures of Chastain and her teammates, and people were talking about the women who won. Weeks later my Current Events class reviewed the major news stories of the summer break, and once again the USWNT were a major topic of conversation and, in regards to Chastain’s shirtlessness, a little controversy (I was raised in the very conservative South, after all). Like many my age, the 99ers sparked my love of women’s soccer. I grew up wearing a Wonder Woman undershirt over my clothes and pretending to be She-Ra, Princess of Power, so I had always looked up to strong, confident, successful women. The 99ers were the real-life embodiment of the superheroes I grew up idolizing, so it only made sense that Mia Hamm took Wonder Woman’s place as what I thought was a more age-appropriate role model. As much as I enjoyed the women’s game, I soon was too busy with graduation, college, and then starting a career to be a truly die hard fan. I still watched every World Cup and Olympic match I could, but none of those games every affected me the way the ‘99 World Cup win did. That is, until 2011. Again, I watched every match I could, ensuring that I didn’t miss a single USWNT match. The quarterfinal match against Brazil contained enough excitement and drama for a five-thousand-word article all on its own. But as much fun as that game was, that’s not the one that reignited my love of soccer. Instead, it was the 2011 final, when penalty kicks again decided the winner. Only this time, it was a crushing defeat for the U.S. But it was that game that made me understand why soccer was called the beautiful game. Let me explain. Japan did win, outshooting the USWNT in a another penalty kick shootout. A part of me was devastated, but another part of me celebrated with the Japanese. Don’t get me wrong, I would have preferred the USWNT to have gotten their third star in 2011, but with everything that happened in those 120+ minutes on that field, I couldn’t be mad about Japan’s victory. That moment was so much bigger than just a game. Fast forward to July 5, 2015, and two of my friends and I were sitting in a restaurant in Auburn, Alabama that had been taken over by the local chapter of the American Outlaws. 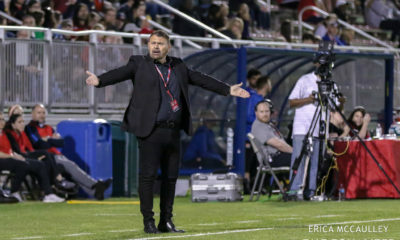 The managers only planned to open the lower section of the restaurant for fans to watch the game, but soon that became so overcrowded that they had to open the entire place. I got a primo seat at the upper bar right in front of one of the giant HD TVs showing the game, arguably the best seat in the entire place. Before long, a standing room only crowd two to three people deep filled in the tight space behind me. Two years ago today and I can still remember my EXACT feelings in this incredible moment. I can also remember hugging my bestie, @sydneyleroux first and how good my nails looked that game. ???????? Together, this crowd of strangers, my friends, and I watched as Carli Lloyd began scoring goal after goal, on her way to a historic hat trick. 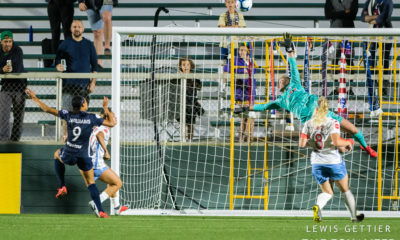 We watched as Lauren Holiday scored the last goal of her international career, with no way of knowing the memory would turn bittersweet the very next day. The restaurant erupted into loud cheers and applause each time the ball went in the back of the net, and complete strangers in stars and stripes high-fived and hugged one another as the USWNT came closer and closer to earning that third star. As cliche as it may be, I could feel the energy and excitement in the air, and it’s a memory I’ll never forget. I bought a three-star jersey that night, as soon as they went on sale, excited to have it in time to wear to the Chattanooga Victory Tour match, which I had bought tickets to days before the final was even played. I had jerseys with two stars, but there was just something special about that third. 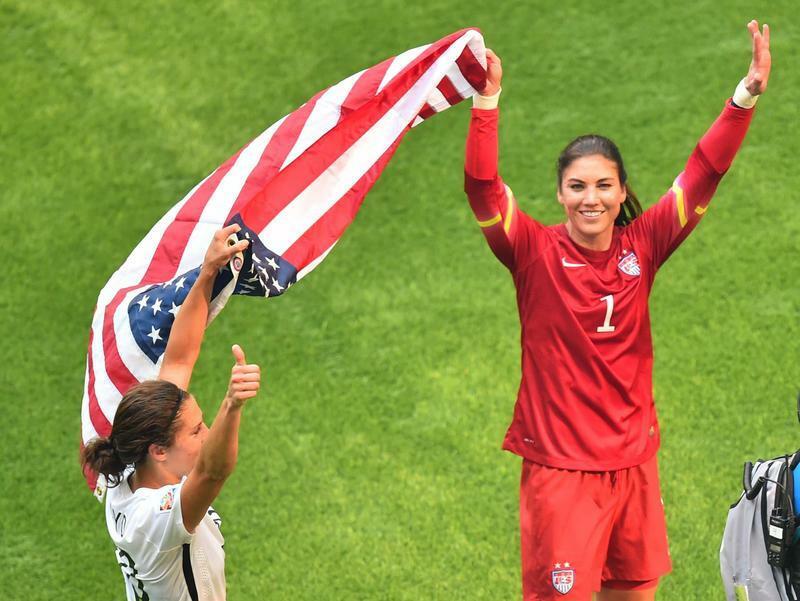 For me, that third star sitting atop the USWNT crest symbolizes something more than just that World Cup win. It symbolizes the catalyst for a turn I never thought my life would take. Without it, I would never be a part of this wild and crazy roller coaster ride that is WoSo media. In my short time of doing this, I’ve gotten to travel around the country, exploring new places I wouldn’t have otherwise seen. I’ve talked to many different players and heard their stories of failure and triumph, both on and off the field. I watched as amazing athletes put everything on the line to score goals, win games and earn points, all because this is truly their passions. And it’s all because of that crazy World Cup. It’s a tournament like no other and its call cannot be ignored. It gave me my first real taste of the sport and got its hooks into me, then called like a siren’s song until I returned, only to instill in me a lifelong love for the women’s game. It’s turned my life upside down in the best possible ways, and I wouldn’t have it any other way. Allison’s Friday Favorites will feature positive, encouraging or otherwise uplifting stories from around the world of WoSo every week. See something you think would be a good addition to Friday Favorites? Feel free to tweet it to me (@allibecc). All of the columns can be found here.